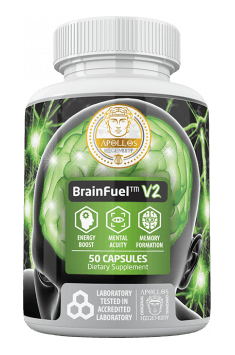 Nutrition of the brain – what to eat to improve brain plasticity? Adequate nutrition of the brain is enormous for its functioning, therefore, along with the diet it needs to provide good quality nutrients, otherwise the brain will stop working properly, just like with a car – bad fuel can damage the engine and affect its operation badly. what to eat to improve the plasticity of the brain and help its work. The brain is like a jelly about two clenched fists, it’s a very plastic organ If you cut one part of the tissue surgically, the brain grows so that some time later the whole space is filled with delicate brain tissue. Water is 80% of the mass (almost like in food jelly.) After evaporation of water, about 80% of fat and 20% of proteins in the dry matter, which can be surprising, a lot of fat in the brain is cholesterol (yes, cholesterol it is fat) and saturated fatty acids (SFA) – monounsaturated (MFA) and polyunsaturated (PUFA) All fats can be synthesized by the body itself, but it is not able to produce the appropriate amount of essential fatty acids – for this reason they have been named NECESSARY unsaturated fatty acids. Does the brain grow at any age? In the human body, catabolic (disintegration) and anabolic (construction) reactions occur all the time. At different times, there are only one, the second time, what are these reactions? You can explain their reaction in the following way: When anabolic reactions occur, the team enters builds with barrows and buckets Then the body rebuilds itself The majority of anabolic reactions prevail in young people, with catabolic reactions taking place the next day – then the team with the crowbars responsible for the demolition and garbage collection enters. These processes also take place in the brain, which is why it is very important that after the age of 30, the construction team has the best equipment available on the market, and the buckets are filled with top-shelf components, just like in road construction. If the diet will be based on a white flour, nothing good will come of it.And what can you put in a construction team for pails? The key in this case are the two basic components – proteins and fats. Here you can read: Healthy mitochondria? Healthy brain! Why do pregnant women have a desire for herring? These are rich sources of monounsaturated fatty acids (MFA) .The increase in their concentration in the blood translates into an increase in intelligence, which has been shown scientifically. As the latest research shows, the relationship between the content of MFA and the possibilities of concentration (for which the frontal cerebral cortex corresponds) Researchers found that increasing the content of these components in the diet of older people positively influenced the results of tests performed by seniors on intelligence.The higher concentration of MFA in the frontal cortex of the cerebral cortex visibly raises the intellectual ability of the subjects. Such knowledge is extremely important. Thanks to the knowledge of the dependence of particular components on brain function in the future it will be possible to develop an appropriate nutrition model that will personally improve the natural functioning of the brain. How to prevent brain cells mortality? In addition to regular effects on the development of brain cells, it is important to prevent their mortality.The brain is largely made up of unsaturated fats, which makes it extremely susceptible to free radicals, i.e. oxidation.The structure of unsaturated fatty acids is unstable. The oxidation affects, for example, linseed oil, which is rich in EFA, and therefore it should be stored in a dark and cool place, preferably in a glass bottle. Proper MFA supply supports the creation of new connections in a complicated network of nerve cells, which is particularly important in the case of older people exposed to the development of neurodegenerative diseases, as well as any person exposed to intense mental effort or chronic stress. superoxide dismutase and catalase, which are naturally produced by the body.However, it is usually not enough.Therefore, you should support yourself with antioxidants available in food. Such ingredients include vitamin A, C and E and carotenes.Carotenes can be found primarily in vegetables ranging from orange to purple and green.It is also worth providing various types of polyphenolic compounds available in edible parts of plants.At present, more than 4,000 such compounds are known.In addition to a well-balanced diet, the method of stopping the action of free radicals is a periodic fast, or conscious abstention from eating. How can you stop the action of free radicals? Take care of a calm, deep and uninterrupted sleep .It is recommended to sleep 7-8 hours a day and it is worth to keep in mind. During sleep in the body there are complicated reactions that affect the better functionality of the brain Sleep can not be replaced by any medicine or supplement, whereas sleep deficiency is a mechanism that releases significant amounts of free radicals. Moderate and regular physical activity is also important, it affects the sealing of the barrier against free radicals.